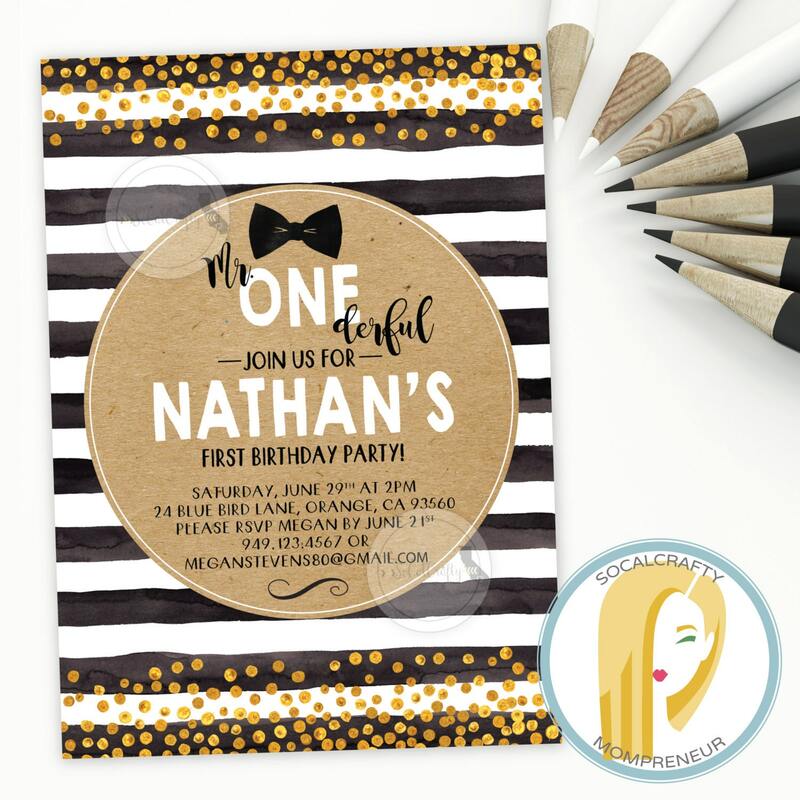 *This invitation does not include real glitter or metallic leaf, but instead a high resolution (flat) graphic taken from a photo, which will print to look like glitter and/ or metallic leaf. If you decide to print yourself, I recommend professional printing or printing on a high quality home or office printer to achieve the results closest to my sample in the listing. Looking for unique gifts? Well, we have some truly unique special vinyl decals and decorative wall prints! Please note that you are buying a service, which DOES NOT INCLUDE PRINTING unless you are within the US and select the number of prints you would like me to print for you from the purchase options. No physical product of any type will be shipped to you from the purchase of the DIGITAL ONLY option. If you do select a printing option from me, plain white ENVELOPES will be included for free with your purchase. PRINTS SHIP ONLY WITHIN THE US. DIGITAL ONLY ORDERS: You are buying a completed (completed with your info) high resolution 4x6 or 5x7 (300dpi) digital card (jpeg format), which will be sent to you as a printable file via EMAIL ONLY. You will be responsible to print... or to have printed by another provider or printed by me through the purchase of one of my print packages listed in the purchase options. ALL COMPUTER MONITORS AND PRINTERS ARE CALIBRATED DIFFERENTLY, SO SLIGHT COLOR SHADE VARIATIONS MAY OCCUR FROM SCREEN TO PRINT ON SOME CARDS, WHICH IS TO BE EXPECTED. 1. Select your favorite SoCalCrafty design and purchase along with any of the other add-ons that I offer (See Below). 2. Email your high resolution photos to erin_twaddell [!at] yahoo.com along with your preferred wording and design modifications including color changes, when applicable and as soon as possible. If your invite does not include a photo, please convo me your custom text/design/color requests or make a note of them during checkout. 4. Carefully review your first draft and email me with revision requests (up to 3) and I will do my best to ensure your complete satisfaction. 5. If you love your invite, please let us know via Etsy feedback. We LOVE positive feedback and little shops like ours thrive on happy customers! A: Yes.. We offer high quality professional 110lb heavy matte card stock invitation and card prints. Prints come with plain white envelopes. Q: Where should I print them? A: I prefer Costco's luster finish for photo prints and Kinkos/Staples/Office Max offers card stock printing. Q: Can I modify the card/design? A: I will change the fonts, colors, message/greeting, number of photos, etc., when possible. Absolutely perfect and cute! The colors are amazing and bright! These are the CUTEST invitations EVER!!! I got so many compliments on them. Thank you so much! I am always up for supporting a work at home momma! AMAZING JOB!! Paypal and credit card purchases welcome!! NO REFUNDS OR EXCHANGES UNLESS YOU HAVE RECEIVED THE WRONG ORDER OR I HAVE GROSSLY FAILED TO MEET YOUR EXPECTATIONS. You will receive a proof of your invitation via email for your approval so you can request necessary revisions. I will be happy to make a reasonable number of revisions (3) for you to ensure you are happy with the final product! Please try and include all of your revision requests in one email to avoid confusion, if possible. PLEASE PROOFREAD VERY CAREFULLY!!! My design programs do not contain spellcheck and although I am a decent speller, I cannot be held responsible for misspellings that I do not catch in the text information that I receive from the buyer. I highly encourage you to test print your cards if at all possible to ensure you are happy with the sizing and coloring, as every printer is calibrated differently and no two will complete an invitation with the same result. I will not refund the design, digital or printed, once approved by you. Please remember that the color of the final product may vary slightly due to monitor color adjustments and the variety of printing processes. THIS IS VERY IMPORTANT. If you are unhappy with the final product please let me know prior to leaving feedback, so I can work with you to reach a satisfactory resolution. A small Mommy powered business, such as mine, thrives ONLY on positive feedback!! *PER APPAREL ORDERS: Please read all listings carefully and check size information before ordering as returns are not offered per our policy. RUSH ORDERS ARE NOT AVAILABLE! *Invitation Print Packages: 7-10 days post order, receipt of all info for invite, and proof approval. *Apparel Orders: Ship within the US in 5-7 business days post successful payment. *Vinyl Decal Orders: Ship within the US in 5-7 business days post successful payment. Please verify the accuracy of your ETSY HOME ADDRESS, as I will be shipping to that ADDRESS if you have purchased a print package, apparel product, vinyl decal, or any other printed product. If you don't hear from me within 48 hours please check your spam folder and contact me through etsy convos and check your convos for my response. I always respond within 48 hours! If not, we may have a snafu, so please try again. *By sending me pictures you agree that you are either the copyright holder or have permission from the copyright holder to use the picture.